To any fellow pale, tan-reluctant peeps out there, I've discovered the ultimate way to get a natural, subtle tan without having to adopt a GTL lifestyle. Not surprisingly, I'm talking about a Charlotte Tilbury product (her products never miss the mark), and one that's super easy to use no less. 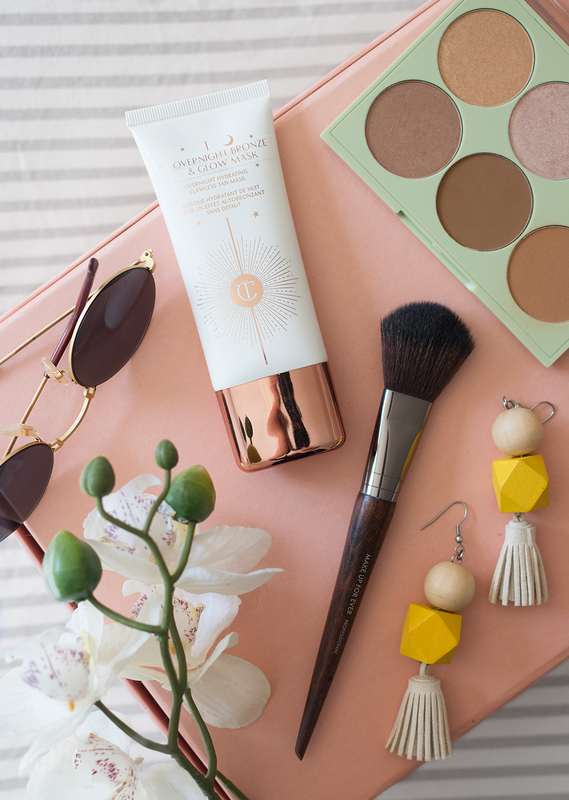 Warning— if you've never tried the Overnight Bronze & Glow Mask, you may be missing out. If the thought of facial tanner seems intimidating to you, let me start by saying that this one is literally foolproof, and I can say that because no one is a bigger fool than I am when it comes to self-tanner. The thought of it genuinely gives me anxiety, and the few times I've actually used it on my limbs has resulted in streaky, orange-looking skin that requires immediate exfoliation and a pair of long pants to hide behind. But because this product feels more like skincare than a traditional tanner, it's actually easy to apply— just rub a thin layer onto freshly-cleansed skin as you would with any other moisturizer, and you're good to go. It's literally that easy. And because the mask contains oat kernel extract to soothe and moisturize while you sleep (other ingredients listed below), it's actually good for your skin to boot. So if you're searching for a natural-looking, gradual tan that you can build up over time (and to prevent yourself from resembling a ghost come winter), I would definitely recommend giving this one a try... PSA over.